McDonalds Strawberry-Banana Smoothie is just one of McDonald’s wonderful drinks. 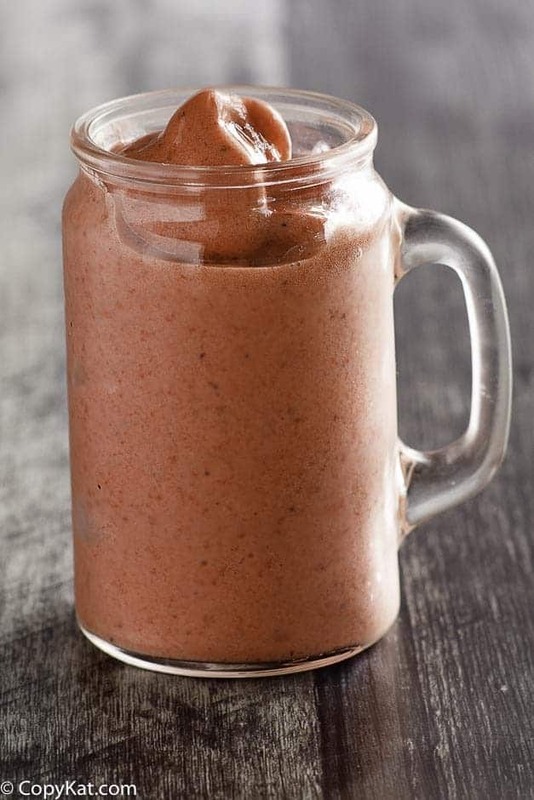 Cool and refreshing, this smoothie is very easy to prepare. Do you love the McDonalds Strawberry Smoothie? Did you know you can make this recipe at home with this easy copycat recipe? The ingredients for this recipe are super easy. You can make this one in no time at all. 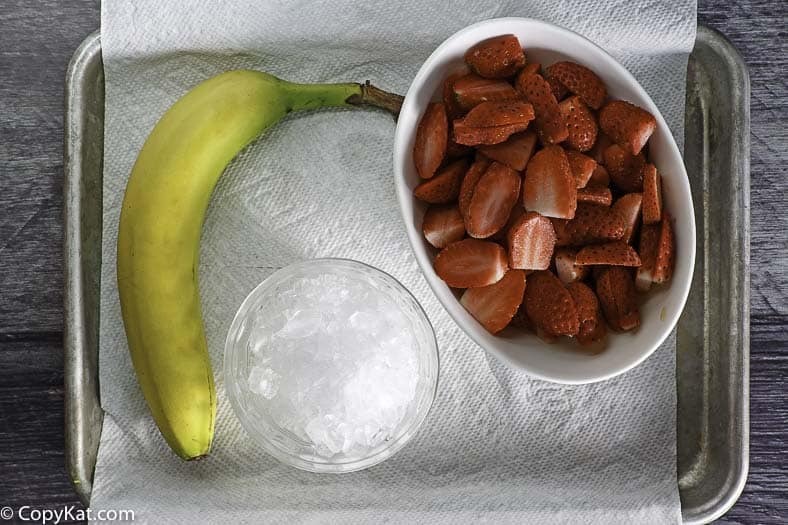 You need sweetened frozen strawberries, bananas, and ice. You can use a blender to turn these easy to find ingredients into a deliciously sweet frozen treat. You can find the frozen strawberries in your freezer section, they are often sold near the frozen fruit. They can come in small square boxes instead of bags like you see a lot of the frozen fruit. I like to use these because the strawberries in these packages were picked when they were perfectly ripe, and they are sweetened wonderfully. 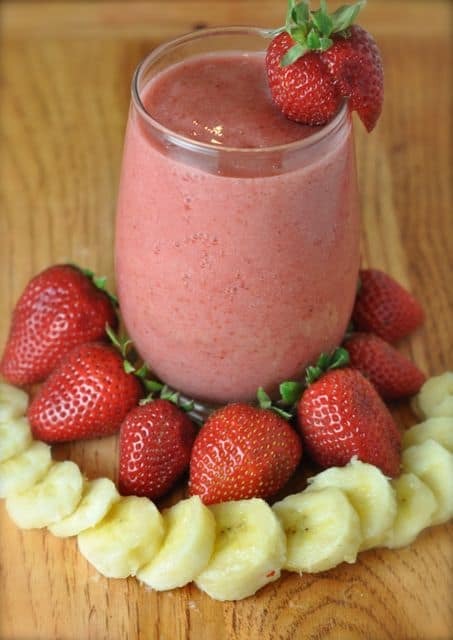 There are just three ingredients in this creamy McDonalds Strawberry Banana smoothie: frozen sliced strawberries, fresh banana, and ice. You don’t need to go through the drive-thru to get to enjoy a Strawberry-Banana smoothie. This smoothie makes a great breakfast for when you are on the go, and it takes just moments to prepare. 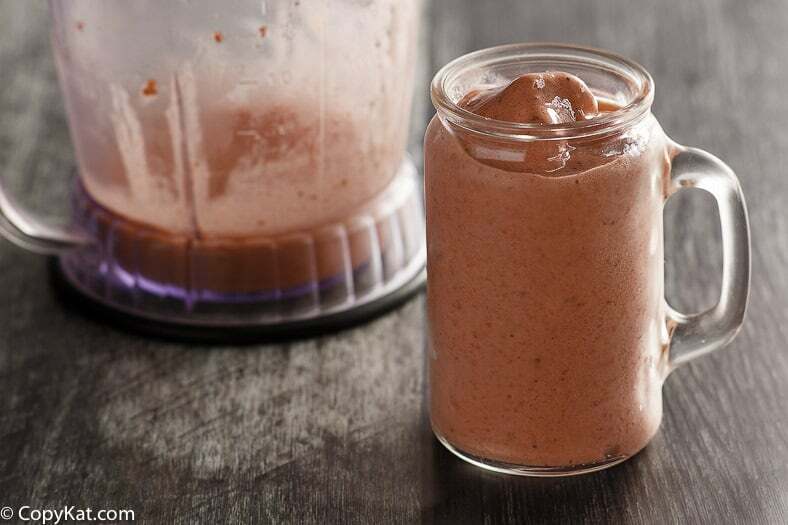 In a blender, combine the ice, banana, and strawberries. Puree until smooth and creamy. I am about to go make this and I was wondering if you could incorporate Young Living’s Ningxia into this. I loved it, I did one banana, and one apple because I didn’t have strawberries, it was amazing, I also added about a cup of milk, great recipe though! I get my green yogurt in big tubs. Put them in ice cube trays and add one or two… and 1/4 cup of water… and I let the fruit sit out for a half hour before I make it. I don’t have a lot of other smoothies online for some reason. I was wondering where did you find the strawberries in a carton like that? Thanks! Thank you for this! My daughter loves McDonalds’ smoothies, but I don’t like the cost or the ingredients. I’ve tried several healthy alternatives, but they’ve never been good enough for her. While she said this doesn’t taste the same, she said it’s just as good! I did have to add a little water to get it to blend, but thank you so much for this recipe!! Finally something healthy my daughter will consume without a fight! I will give this a try. Thanks! This was delicious. My eight year old loves McDonalds strawberry banana smoothies, he said this tastes a little different, but is really good.